I’ve been gone from here for a while because I had to go to Jamaica for a work trip. Yeah, I’m that lucky :-). Better yet, although it was a work trip, with the help of new and awesome Jamaican friends, I was able to see a bit of the island before I had to come home. Without further ado, I shall now show you pics! 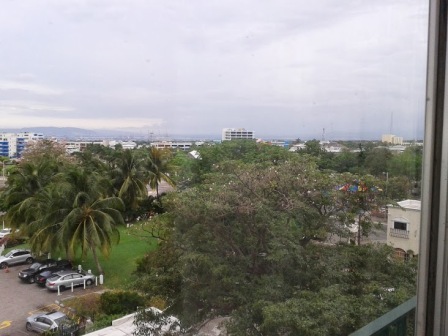 The view from my room at my lovely hotel in New Kingston, the Courtleigh. Small bathroom, but well appointed. Lovely, big, king-sized, four-poster bed! 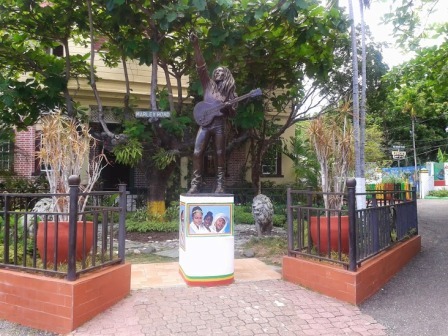 On my last day there, I visited the Bob Marley Museum. I learned so much about this amazing man. Here is his statue, built to his exact height. As a measure of the man, he stands on the shoulders of his back-up singers (the middle one is his wife), as well as Haile Selassie I and Jamaica’s first national hero, Marcus Garvey. You can only see the ladies in this shot. I went to Port Royal one evening. 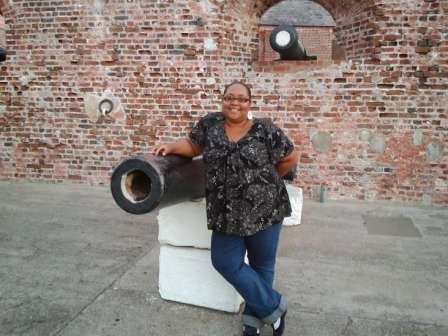 It was too late to see the sunken city, but I did get to pose with the cannons, and had an amazing meal at Gloria’s, just around the corner. Honey Jerk Shrimp, people! And if you ever go to Jamaica, please have the Festival. It’s delicious! 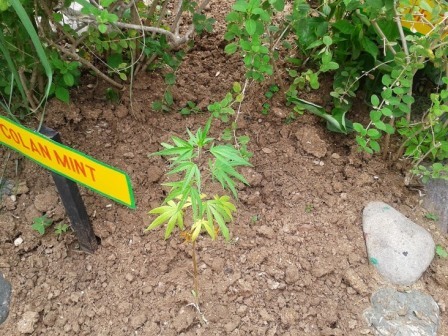 Found in the herb garden at Bob Marley’s Museum. Three guesses which plant this is ;-).